The early season for dove opens Sept. 1, so now's the time to start planning and scouting. Dove and band-tailed pigeon regulations for 2013-2014 are now available online and can be downloaded at www.azgfd.gov/regs/doveregs.pdf. Printed copies of the regulations will soon be available at all Game and Fish offices and select retailers throughout the state. 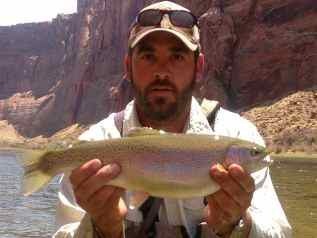 The Arizona Game and Fish Department's website, www.azgfd.gov, features updated maps, scouting and shooting tips, as well as links to useful sites like www.rainlog.org. There's also a mobile-friendly webpage available at www.azgfd.gov/m.dove. New this year is a possession limit of 30 birds. The bag limit is 10 birds per day. Eurasian collared-dove season is open all year, with an unlimited bag and possession limit. Dove and other small game hunters recently gained access to about one million additional acres of land around municipalities, making it easier to hunt closer to home. Shooting hours this year are one-half hour before sunrise until sunset. Information on license and migratory bird stamp regulations is included in the regulations, along with details to help make the most of this dove season.